Wow I can't believe how quickly the time has gone by and I was trying so hard to be regular with this blog! So, since I last posted after the heady heights of Radio Lancashire my etsy shop is up and running and I'm running round (figuratively) like a headless chicken trying to promote and network it. I've been told it's a long haul so I'm prepared for that but I'm also aware that I might now be looking at facebook, etsy, folksy etc in my sleep. We went to Woolfest which as usual was brilliant. There was ideas and inspiration all over the place and as usual there was a fashion, which this year was felting - it was all over the place! I love felting though so I was in my element and will be running some classes at knit-wise over the next few months. 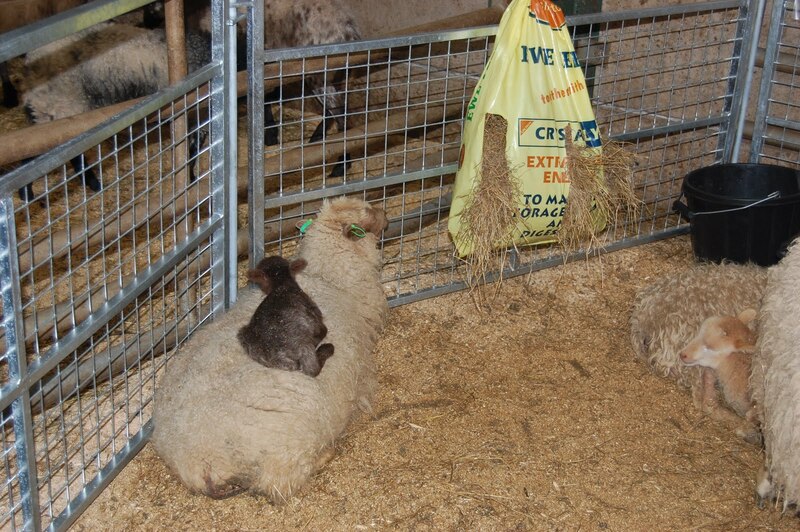 This is a French breed of sheep that had such a tiny little lamb it had to be photographed. Poor little thing, it was sat on it's mother's back, just lovely. 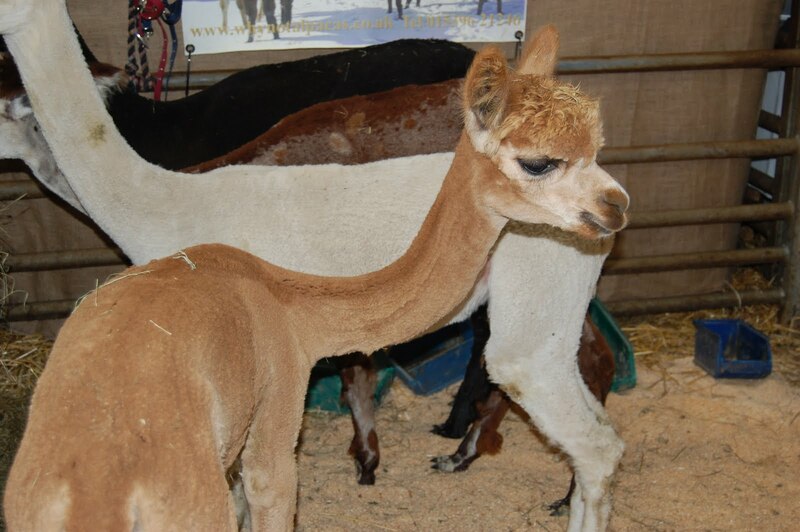 And the alpacas had just been shawn, looking gangly and skinny, as if their legs couldn't hold them up. 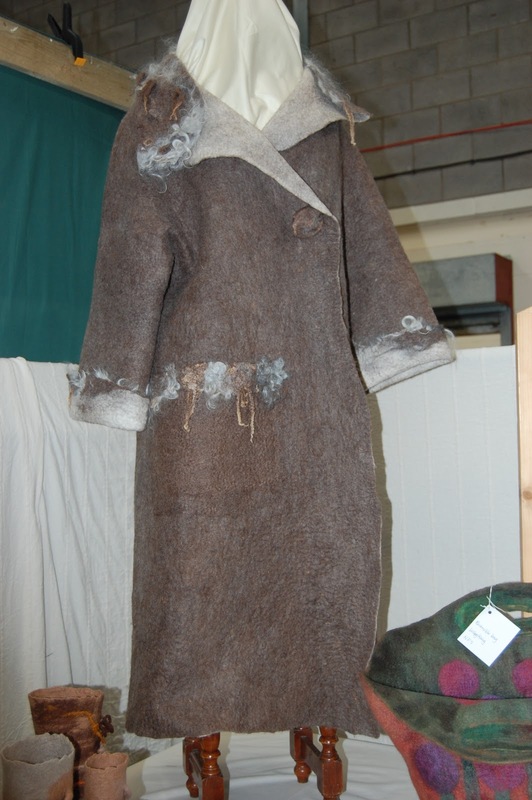 This felt coat caught my eye and although I don't think my photo does it justice, was beautifully made, the curls on the pocket are little Wensleydale locks and compliment it very well. 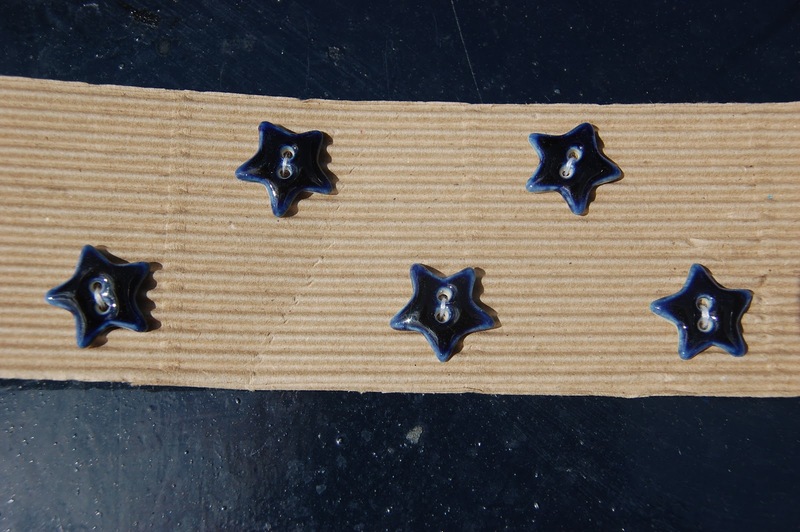 I loved these little Injabulo star buttons in deep navy blue, they've inspired me to dye my next fibres in deep shades, they are just drying out in the workshop (shed) and will be in the next post. This will be my motivation to post it quickly. Felting is something that children can easily get involved with too so we'll be running felt necklace making with mums and children on Friday mornings through the summer holidays - boys can make a caterpillar and girls can make necklaces or caterpillars. Actually, boys can make necklaces too if they like - whatever floats their boat. So if that's something you'd like to do, give us a call at Knit-Wise and we can keep our ankle biters amused. My own will be there too so let the mayhem begin. I will post again soon - promise!